Dreamscape is rated 4.3 out of 5 by 11. Rated 5 out of 5 by RKDN256 from An Unusual RPG Challenge Not to be confused with the 1984 Dennis Quaid film of the same name, this game has its good and bad points, but overall it is an unusual and fun challenge. Bad news first. 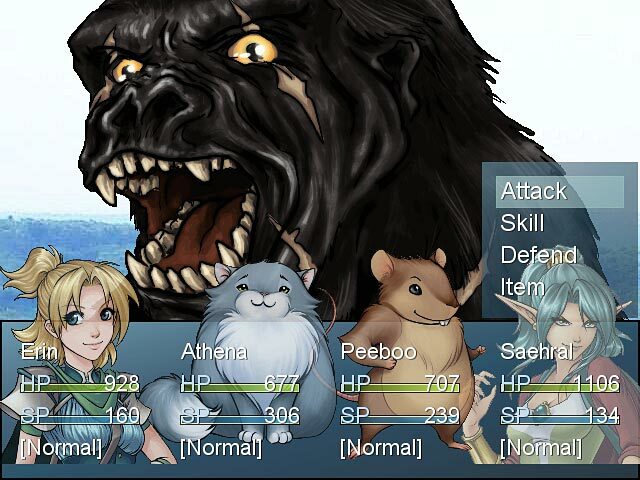 The sound and visuals are mostly the same overused stock you find in most RPG Maker games like Aveyond. The back story is thinner than a bubble in a dream; it provides no motivation and the game is just as fun if you ignore it, which is what I recommend. (<rant>Why go through a whole adventure for the heroine's dumb boyfriend who she'll probably break up with in a few weeks that gave her magic headphones (?!) that have the dumbest explanation ever?</rant>) The living-in-a-dream concept is a well-worn trope which was used a bit better in Whisper of a Rose, which in turn could never hold a candle to Secret of Evermore. Now the good news. The mechanics of the game are subtly different than most which gives it a new challenge. Basically you can only use items as soon as you find them, and they affect the entire team. Everything is in limited supply including what you can buy, so you have to build a strategy around leaving things for later. If you fail, your only recourse to continue is to touch Pinkie the Crystal (?!) and hurt your final score. Battles don't drain your health as much as in typical RPGs but you also have to deal with obstacles that drain your whole team instantly. 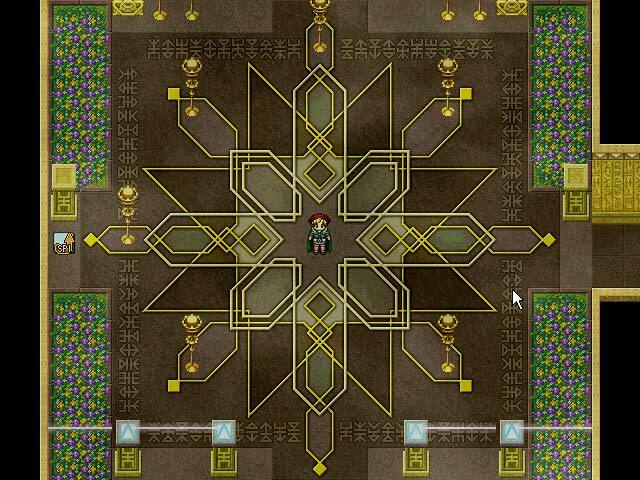 The game map consists of characters' dreams. These dreams can contain new characters who also have dreams you can explore. This works for all main characters and about half of NPCs. This makes for some interestingly complex navigation, and yet you can always use the "magic headphones" to jump to a different starting point (then backtrack to get to Pinkie the Crystal). Eventually you'll find that the map creator had an interesting sense of humor. Overall I found the game took about 20 hours. As a light diversion, I highly recommend it--just don't take it too seriously. Rated 5 out of 5 by DannielSquall from Best Dreamworld Ever! By my rating, it's obvious that I love this game. It has hilarious and fun characters, unique gameplay, big lenght and various places to adventure... should I add that this is a NON-LINEAR game. 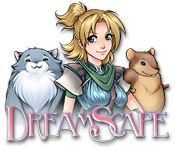 Dreamscape is a game where Erin, the main character, have to venture through the world of dreams in order to save her boyfriend. In her travels she will meet the most odd allies and fight terrifying enemies such as Al Capone, Jack the Ripper among others. This is a game that shouldn't be missed, it will soon become your one or maybe the only all time favorite. Rated 5 out of 5 by Bill_Rockwood from A unique experience in terms of adventure. Yet the plot of characters visiting dreams has been delt with so many times, the fact of adapting it into a RPG-styled game is more uncommon. The time you will spend on it will be fairly high, as the quests and the different places to explore are quite vast, and as you can rapidly feel sympathy for the lovely characters, playable or not. The music is also as fantastic as involving for the player. A game which is globally truly worth the try if you expect something a little bit different as what is usually offered in 2D-RPG experience! Rated 5 out of 5 by ksjp17 from One of the best games I've ever played This is a game that has got everything I like about RPGs, and does it with originality to boot. The story is not like any other that I've come across (and I'm including Whisper of a Rose and Sweet Lily Dreams, which also have dream settings). It keeps you engaged with the characters so that you're drawn into the world the game creates. There's a lot of humor in the dialogues, but also other emotions as well. Gameplay is varied, and uses the atmospherics of the different locations (and trust me, they are different!) to build suspense. It's long, and even if you don't choose to play the different possibilities that open up once you've finished, it's got great replay value. Rated 5 out of 5 by pasticcio8 from A True Adventure Game I've noticed that it is difficult to find a truly adventure game these days. This game is comparable to the Final Fantasy games. Not only does it seem to last forever, but the variety of type of play is present. Even though there is an underlying guided thread in the play of the game, one can play the game in any sequence after a few of the characters are established. What I found to be most difficult, is remembering which dream certain items are found. This is not a game that can be played in a day or two, like most, but requires alot of time. Rated 5 out of 5 by Carter83 from Very unique game Dreamscape can be hardly compared to any other game out there. You are stuck in a system of dreams and need to get out. But the path isn't linear - there are many dreams, some can only be accessible from one dream and usually for advancing in one dream you need a key item found in another dream. Basically you could say that the whole game is one big puzzle. The dreams are very various, some are more adventurous, some are quite scary. Graphic and music is very good, and the story has a few twists (and quite a few humorous moments), although this game is unlike from Millennium of Laxius Force not so much story-driven. There are different difficulties and you will get different bonuses for each completed difficulty (immunity to poison, bonus character and so on), so the replayability is very good. This surely is a game not to be missed. Rated 5 out of 5 by titanesse from Dreamscape Have you ever considered what it would be like to dream that you were having a dream about a dream you had dreamed?Sound confusing?? How about intriquing?? Such is the world of Dreamscape.This unique rpg is nothing less than fascinating. It brings together confounding puzzles and heroic adventuring, for a thoroughly satisfying experience! There are clever clues found in one dream world which will lead to a solution in another!! Or, was it that other one? Wait, I think it must have been.... hmmmm.... The humor sprinkled generously throughout will keep you laughing (heros "moonwalking" across the screen????? ), and by the time you solve the mysteries, you have spent many enjoyable hours reaching the conclusion! Then, due to the amazing replayability of the game, you'll be eager to start a whole new adventure! This one is destined to be a classic, no doubt about it! 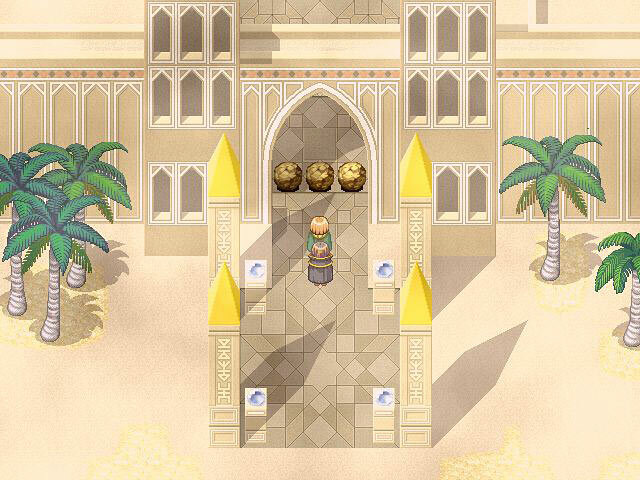 Rated 5 out of 5 by Alikamou from Adventure Game! Now is is a challenging game! Erin need to find her boyfriend. You will travel through other people's dreams to different places. The graphics were awesome and the music was perfect! But watch out for Jack! He'll sneak up on you when you least expect. But the ultimate challenge is NOT TOUCHING 'PINKIE'! Who's Pinkie? Play to find out. Rated 4 out of 5 by tinman49 from Dreamscape: The Sandman Not good at reviews, but I reccomend this game. Very entertaining, good puzzles and hos. Rated 2 out of 5 by SpookyPigdog from couldn't get into this one I loved Aveyond and its spin offs, and although the idea of this game is great, and the graphics much improved from Aveyond days, it was just a little boring and too difficult in some areas for me. Even with all the help available in the game, once I got bitten by something, I couldn't find my way back to the pink crystal. The Save As / Equip/Items etc screens were as confusing as I remember them from Aveyond, and I just feel too time poor to spend the time this game obviously needs to really get into it. I played the trial out, that was enough for me.